Shane Mulholland believes that stats are the muscle behind the message. When it comes to coaching, providing video evidence with stats adds clarity to the message that can make a difference on the field. “Stats for me are there to serve a purpose, they are not the be all and end all,” Mulholland said. “Many people will be able to eyeball a game and know that you lost break ball in the middle of the field. But players like to deal with black and white. “You can say: ‘There have been 15 balls in, we have won four and they have won 11. Your man has won six’. 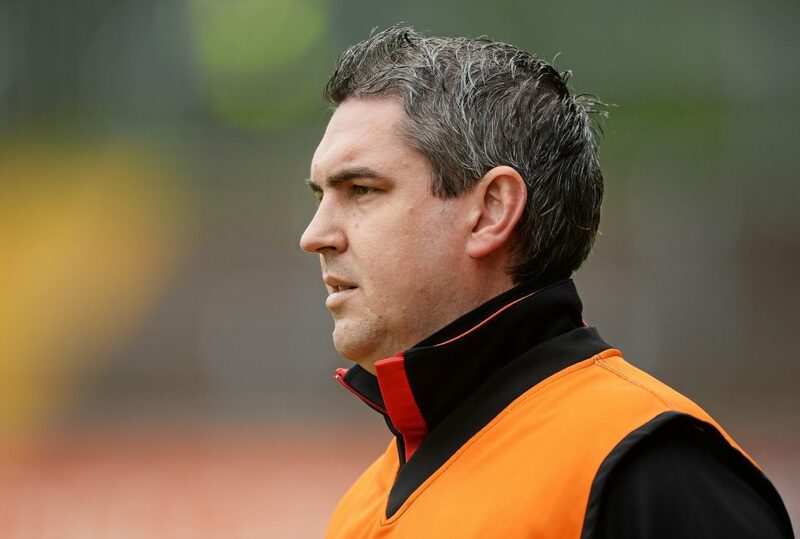 Mulholland spent this year using Performa Sports video data analysis package to help Rostrevor win the Down Intermediate Championship, and also reach the Ulster final. He’s long been an advocate of using numbers and video analysis to coach teams, but it was new to the St. Bronagh’s club. He said that the players responded well, and he explained how he used the video package to change the way players thought. “I don’t believe that every player gets what you say,” Mulholland said. Mulholland said that this year the Rostrevor management team had worked hard on how to provide more scoring opportunities. Rostrevor weren’t putting the ball over the bar enough, and they went to the video to see what the problem was. 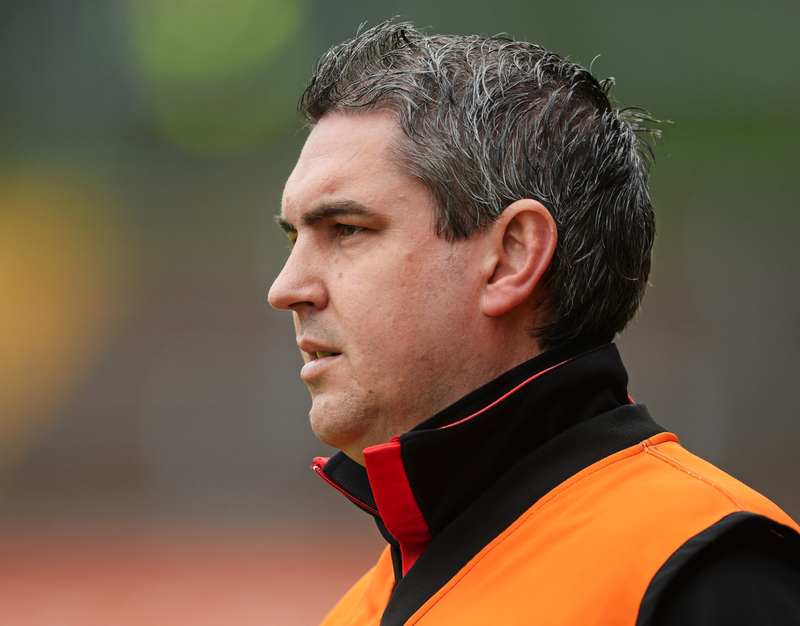 “We talked a lot to the forward line and their movement, particularly as a two or a three. We showed them their movement which was taken from a very good angle in Rostrevor, you could see the three of them making the same run in the same direction. “You are saying: ‘How can the back man not see that the first two men have ran the same way? You need to go the other way’. So, Mulholland took them to the training field, walked each player through what they should be doing in order to create a 1-2 split in attack. And then he sent them video to add muscle to the message. “I worked with them on the training field, standing next to the full forward saying: ‘When he goes left, you go right, and the other guy goes left and then we’ve got three kicking opportunities to play into our full forward line across two sides of the pitch’. “I worked on that, physically on the field, verbally, and with the video. “Some players need that visual medium.” And it worked. Mulholland has been using video analysis during his time working with Ballyholland and also while with Down. He says that video analysis is the next step for coaching, and that any clubs with real ambition must embrace it. “If you are a serious club, top of division two, or in division one of any county they are looking for specific things. They are looking for physical conditioning, the exercises, game management, tactics, nutrition, strength and conditioning and I think that stats are really becoming a standard. Mulholland discovered Performa two years ago. He had been using a now defunct system and when it stopped, he was stuck, but then he found Performa. “I was searching around for something new and I came across the boys at Performa Sports. I had a chat with them and it was really good. It was a big step up in terms of functionality of what it was giving us. “A couple of things stood out, just how intuitive the interface was. How simple it was to use without any training. “When you tagged a game, and when they were videoed, you were able to pull in the video and it would overlay in time with the stats. At Rostrevor, he tasked one of the club members with compiling the numbers during each match, but made sure that he was close at hand throughout. “He stood beside me and in real time he was able to tell me how long’s left, he would be able to tell me how often we had kicked the ball away. “Particularly at half time, before we had a ‘pow wow’ we would have went to the stats guy and asked for the headlines. Some of that would have backed up what you were seeing. Mulholland understands that because he was one of those players who would have been quick to point out when a manager was bluffing. Therefore, he understands that players need to know that what you are saying is fact, rather than opinion. And as a marketing manager, Mulholland also knows the power of video, and it’s strength in supporting a message. “I would be able to slice up a video and send it out through Whatsapp, about what we had done based on the video, supported by the stats. Mulholland has moved on from Rostrevor now, but he is going to keep using Performa Sports video analysis.